OK, OK, Us Mag, yes, the ring is gorgeous. Too bad it’s not what people are actually looking at (hint: the comments in the story linked above keep pointing to Jessica’s midsection). Neither the ring nor the supposed “baby bump” are what matter to me, really. (Though that will sure be one cute baby.) I am actually in love with her bangs. I used to wear bangs last year but they grew out :-| Turns out summer heat and Latina hair don’t mix too well, I realized. But a little sacrifice, for beauty’s sake, from time to time will most likely pay off, so thanks non-Latina Jessica, for inspiring me to get wear them again this year. Update – 3/16: I trimmed. My own. 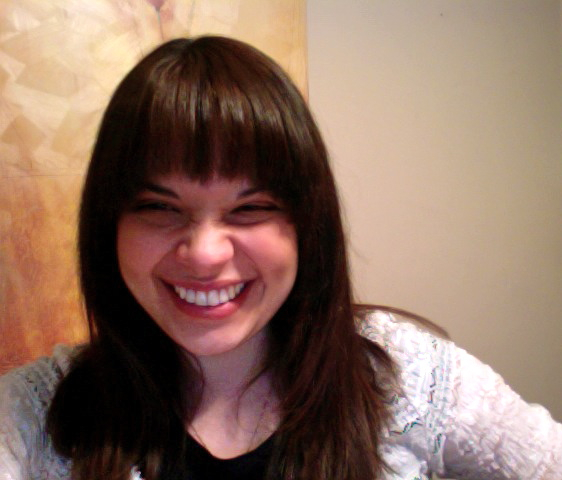 Bangs (with Youtube’s help). And I’m so proud! It wasn’t as difficult as I thought it’d be and they may not look like the ones in the picture above since they’re more side-swept, but (modesty aside) they look cute.